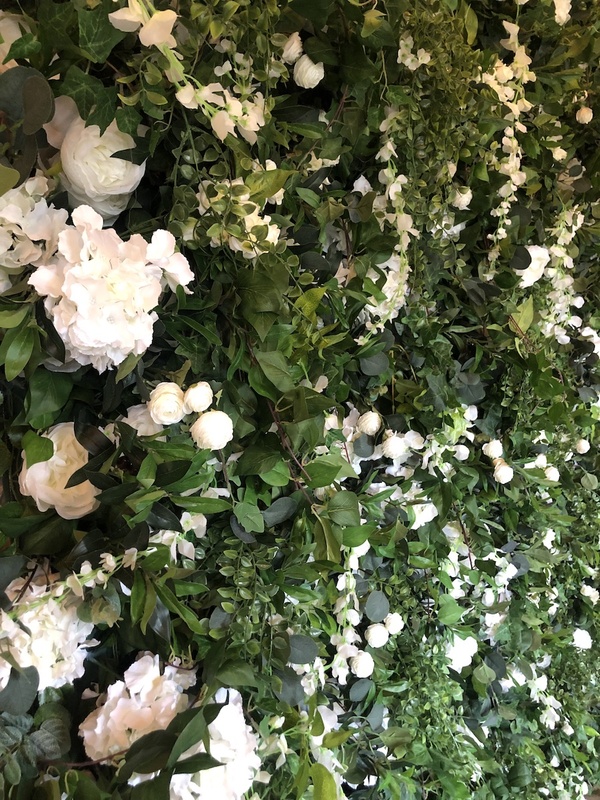 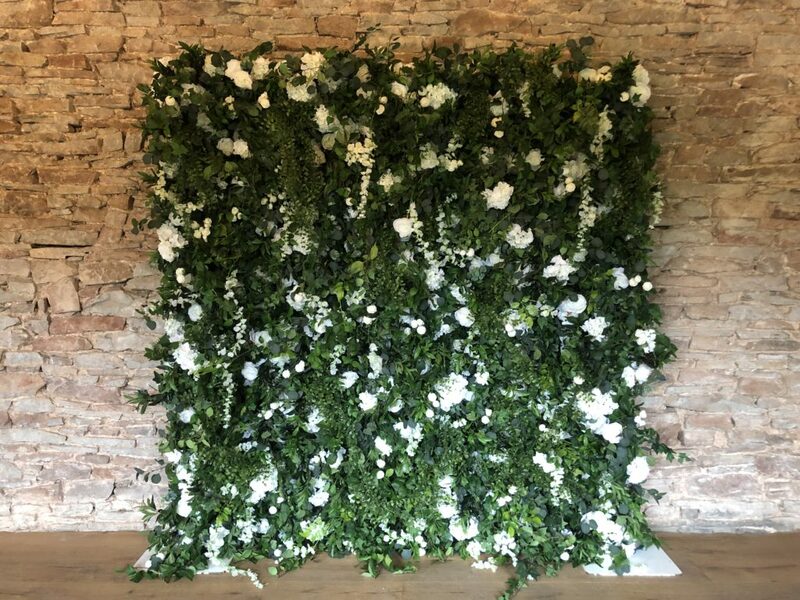 And here’s Zoe, our new foliage and ivory rose flower wall, bringing the outside in! 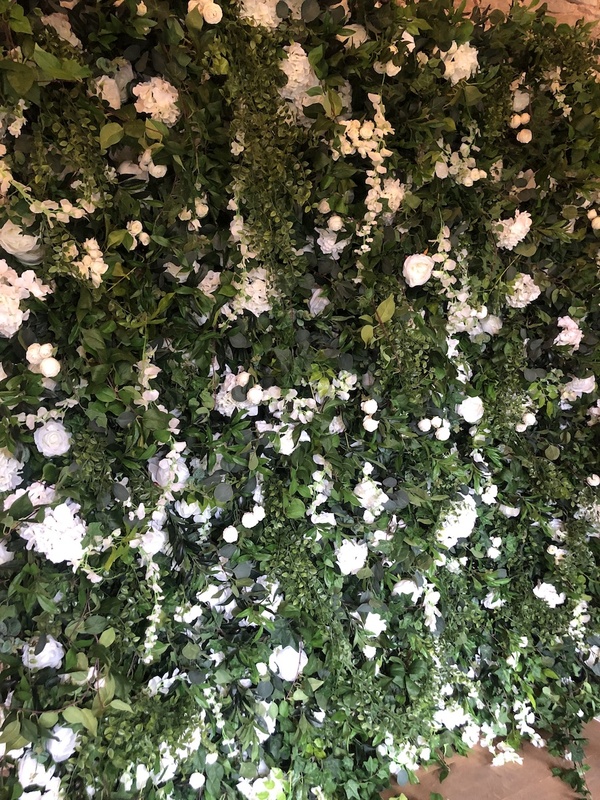 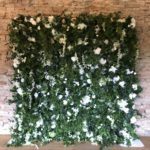 Our Zoe flower wall stands at 8ft x 8ft tall and is packed full of different types of foliage to give a really authentic look. 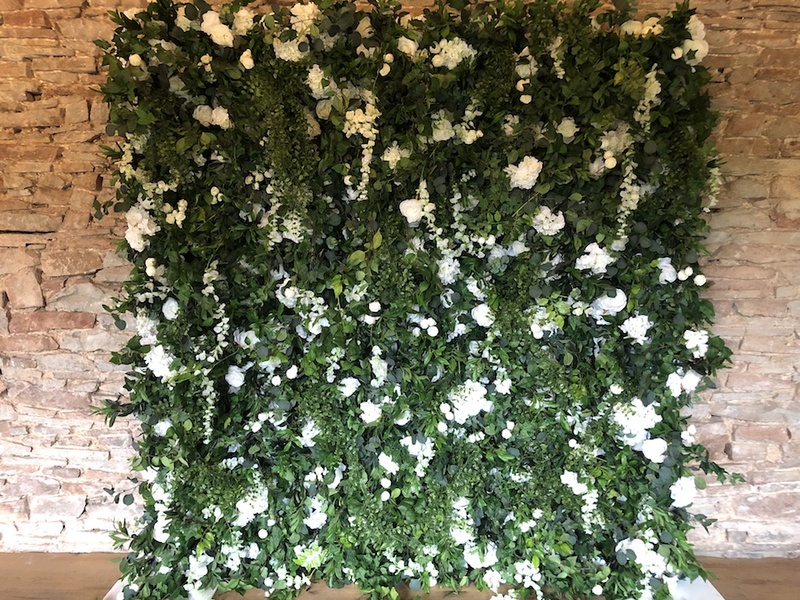 She’s so unique and we can’t wait to see her at more weddings and events! 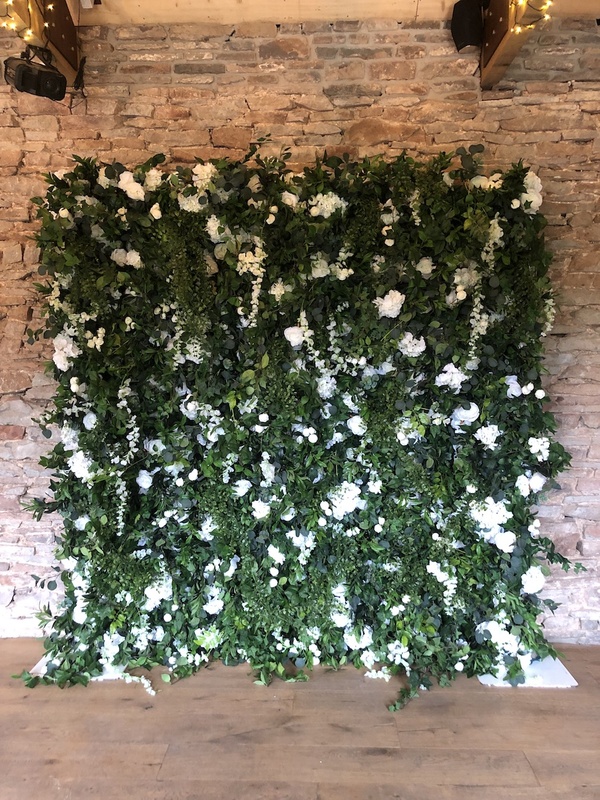 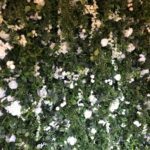 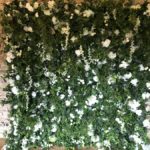 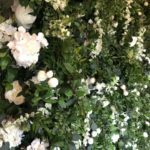 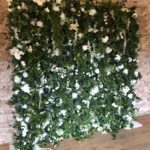 This foliage flower wall is £200 to hire. 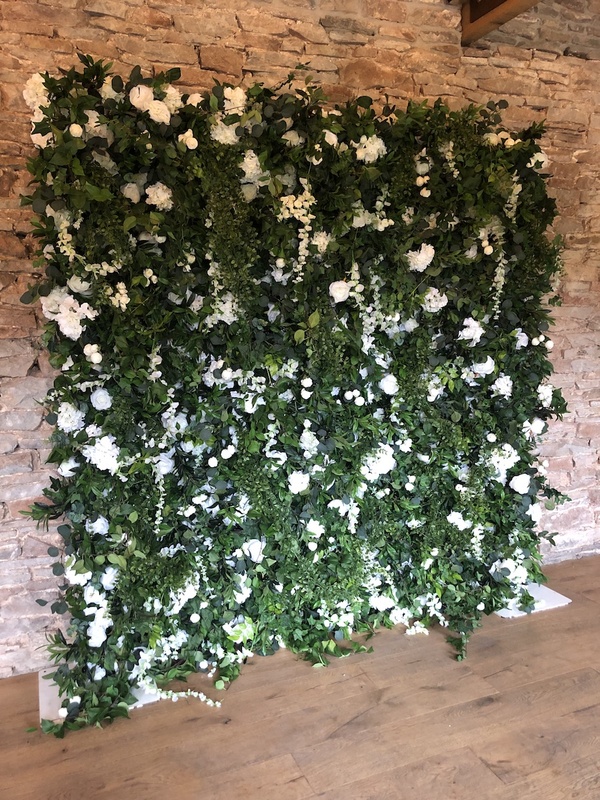 Due to the design of this wall, we can actually provide a 4ft wide x 8ft tall for smaller functions, for £125!